Candidates for five seats on the Board of Education will answer questions from parents and talk about their visions for the district on Wednesday, October 24. On Wednesday, October 24, the Parent Teacher Community Council (PTCC) at Congress Elementary School will be hosting a forum for the candidates for the Grand Rapids Board of Education on the November 6, 2018, ballot. The forum will take place from 6:00 p.m. - 7:30 p.m. in the gymnasium at Congress School, 940 Baldwin SE. The forum is free and open to the public, with interpretation services to be provided for Spanish speaking attendees. Video of the forum will be made available after the event. The forum, moderated by Congress parents Brad Tarrance and Jessie Guerrero-Horn, will allow the candidates time to introduce themselves, respond to questions from the community, and make an argument as to why they are the best candidate for the board. Five of the seven School Board candidates have committed to being present, while the candidates who are unable to attend will have the opportunity to provide written answers to questions. “We sponsored a similar forum in 2016 that was well-received and we wanted to make sure that parents and community members had a similar opportunity to hear where the candidates are coming from and where they see the district moving,” said Tammy VanderWoude, a Congress parent. Forum organizers say this election is particularly important because the Board of Education will play the critical role in determining how the district moves forward after the departure of Superintendent Teresa Weatherall Neal. “One of the things that makes for a great school, and a great district, is strong parent involvement and parent awareness. We wanted to provide a way for GRPS parents and community members to make an informed choice,” said Kevin Vos, another parent organizer. 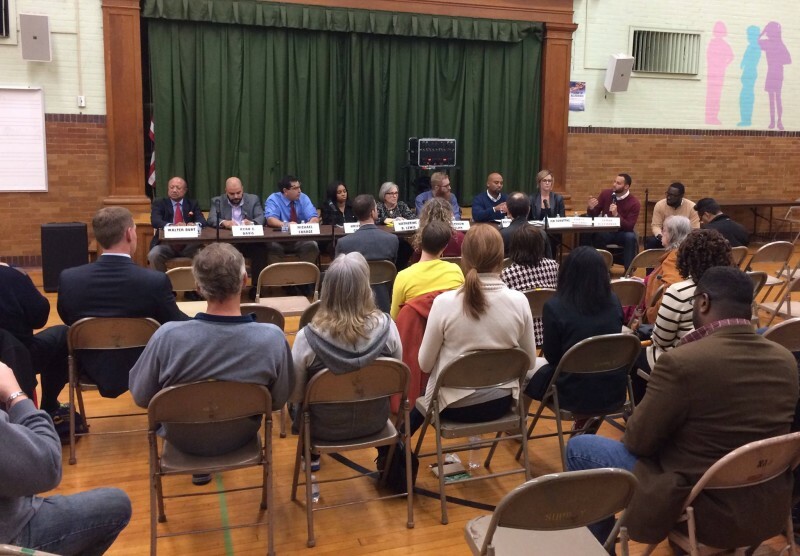 Congress parents say they are particularly interested in hearing candidates’ thoughts on where neighborhood schools fit into the district’s future. “I see a desire among parents to be engaged not only in our school but in what’s happening at all the schools. This forum is one way we can provide that level of engagement,” said VanderWoude. Many of the City’s neighborhood associations are supporting and endorsing the forum. Doors will open at 5:45 p.m. If you would like to submit a question for consideration for the forum, you can email: [email protected].